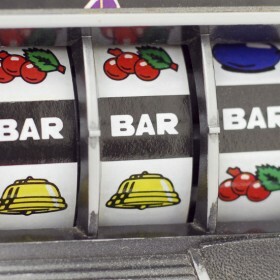 If you are looking for a juicy new pokie to sink your teeth into this winter, then follow the advice of your canine friends and book yourself into the fantastic new Hound Hotel pokie machine from Microgaming and give yourself the chance of taking a bite out of the 110,000 coin jackpot. 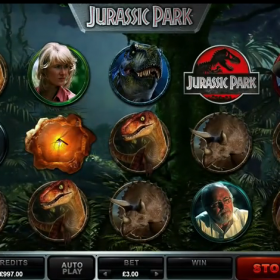 This brand new slot, is a 5×3 reel slot featuring 25 fixed paylines on each spin. 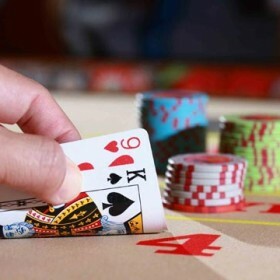 Spins start from just 0.25, but the cost per spin can be easily increased for players who want to play for larger sums of money. One of the nicest features is how the dogs have been created across the reels with a number of instantly recognisable breeds including the pug, St Bernard, Huskie and even a charming Chihuahua acting as the in game scatter symbol. In the base game, there’s plenty to keep the player entertained including the new Dashing Wilds feature. This random feature occurs on a non-winning spin and sees the Dashing Wilds emerge from the centre reel and spread across the reels to create a guaranteed winning payline for the player. The game ramps up a notch when you land three or more scatter symbols across the reels. Then you enter the exciting Hound Hotel Bonus round, which is set in a lift calling at three floors of the hotel, all controlled by a friendly canine bellhop. On each floor you get to pick a bonus. The first floor sees you pick from one of five wild bonuses (Super-Stacked Wilds, Split Wilds, Expanding Wilds, Wild Reels and Super Wild Reels). 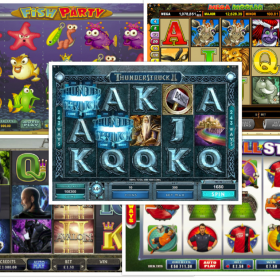 The second floor sees you select a multiplier (up to 6x your win) and finally on the third floor, you will discover how many free spins your other two bonuses will apply for. And best of all, if you are lucky enough, you can pick twice on the multiplier and free spins floors to gain an increased bonus. Along with the new Kitty Cabana slot, Hound Hotel is a slot that you’d be barking mad to miss this winter! Previous article Hot as Hades is the slot that will sizzle this winter in NZ!